Tire rotation helps protect tires against uneven wear by moving the tire location on the vehicle. 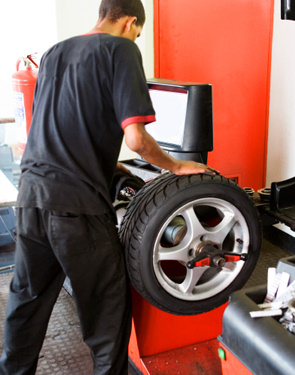 Most tires will exhibit some form of wear based on numerous factors including: wheel alignment, miles driven, driving style and habits, and tire location on the vehicle. By moving or “rotating” the tires as recommended by the vehicle manufacturers, tires may wear more evenly, helping extend the life of the tires.